Treatment window for Giant Hogweed? It’s that time of year again, Spring has sprung, the grass is growing, the birds are singing in the trees and all of the invasive plants are also rearing their ugly little heads. Giant Hogweed is a particularly unpleasant one because as you can see in more detail here the sap can cause really very nasty injuries if it contacts your bare skin. At this time of year the plants are small and to the untrained eye they are much more difficult to tell apart from the less harmful native Common Hogweed plants. 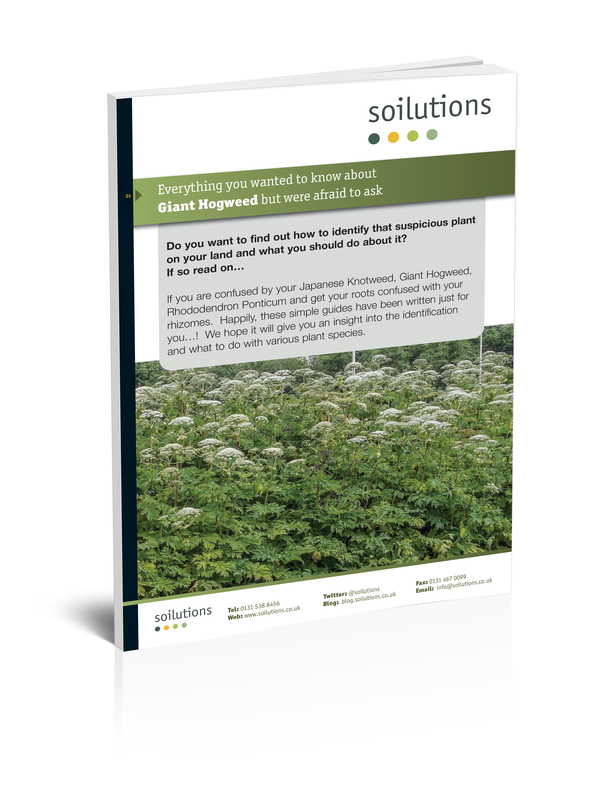 This is also the easiest time of year to do something about Giant Hogweed, the ideal treatment window varies for different invasive plant species and this is the time to think about Hogweed. No matter which method you intend to use to manage your Giant Hogweed the health and safety implications of working around a plant with sap which can burn your skin and can go on to develop a roseatte of leaves each over 1m in width and a stem which can grow up to 5m in height are considerable. As someone who’s carried out both physical and herbicide control operations on stands of mature Giant Hogweed I will personally testify that it’s much easier in every aspect of the treatment if you’re not wading through chest high leaves swathed in protective clothing. Those were exceptional circumstances and by careful planning and attention to detail we were able to perform this work safely and successfully but if we’d been contacted at the start of the season it would have been much quicker and simpler. Right now the plants are small and you can move around them without having to make physical contact with them (unless you’re physically destroying them). The treatment window for treating Giant Hogweed is now wide open but it won’t stay that way indefinately. If you’ve got something that looks like the plant in the picture above sprouting in your garden or on your development site then don’t hesitate to get in touch and we can definitively identify it and deal with it for you, if needed.